A’yo goin’ down, Dr Survé? State asset manager the Public Investment Corporation's controversial R4.3bn investment in AYO Technology Solutions was a “foregone conclusion” with former CEO Dan Matjila using his authority to overrule concerns about the deal, according to evidence heard by the commission of inquiry into the PIC on Wednesday. PIC Assistant Portfolio Manager Victor Seanie gave an overview of the process leading up to the investment in the firm linked with businessman Iqbal Survé, detailed how due diligence processes were allegedly bent in favour of the firm, and testified that Matjila rode roughshod over managers to see the deal through. From an “unreasonably short time frame” to process the IT group's valuation, to not being allowed to negotiate the R43 a share initial public offering stock price, Seanie said the December 2017 investment in AYO was fraught with irregularities. 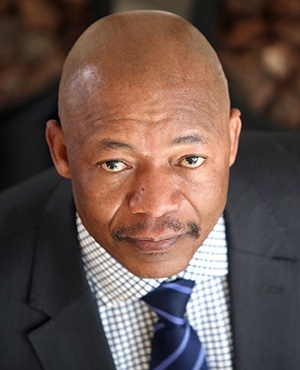 He testified on Wednesday that Matjila had signed the AYO irrevocable subscription agreement, and instructed the general manager of listed equities to co-sign, without the approval of the PIC's portfolio management committee (PMC). “I thought signing the subscription agreement was highly irregular because I had never seen it happen before and PMC had not yet approved the AYO transaction,” he said. Seanie said he and his colleagues raised concerns about the signing, but Matjila “overruled us”. He also recalled an occasion around the day of the signing of the subscription agreement when red flags were raised and Matjila had said something to the effect of: “I will use my authority as CEO to sign the AYO subscription agreement and have the decision ratified at the next PMC meeting”. Seanie and Fidelis Madavo, the executive head of listed investments at the PIC, were last week suspended following a forensic probe into the controversial deal. Seanie told the commission he felt that AYO was dictating terms to the PIC, not the other way around. He said both his portfolio manager and general manager agreed with him when he said he believed that the R43 per share valuation was excessive. In its sole statement about the PIC inquiry so far, AYO praised the inquiry while criticising the media for "negative and defamatory reporting". The IT company's board of directors said in a statement on Thursday that it had noted with concern "the ongoing negative reporting and speculation of impropriety and unethical conduct expressed by certain media entities". Assistant Commissioner Emmanuel Lediga asked Seanie why he thought Matjila appeared determined on pushing through the AYO deal. Seanie said that, in his opinion, this was based on the relationship that appeared to exist between Matjila and Survé. Seanie said he believed that, by extending the investment to AYO, Matjila was helping out Survé. He said Survé already had a loan of about a billion rand with the PIC which he was struggling to service, because it was backed by a struggling company. READ: A’yo goin’ down, Dr Survé? He also said that, of the PIC had investment in another company linked to Survé - Sagarmatha- "it would have solved a lot of problems…"
In April 2018, Sagarmatha Technologies was informed by the JSE that it could not list on the local bourse because it had not submitted the correct financial statements in time. The company had also approached the PIC for funding.